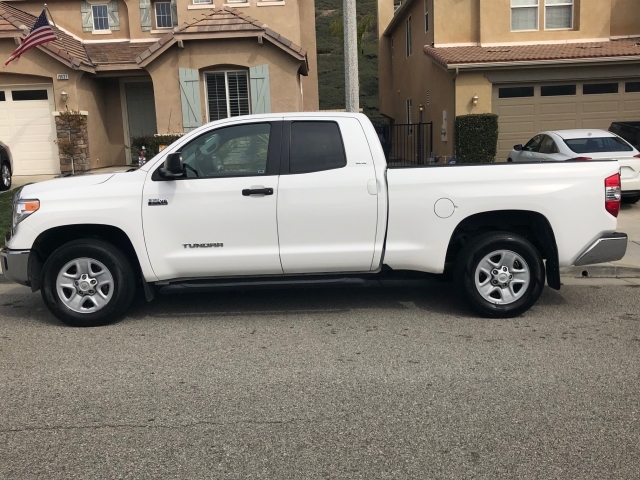 2016 Toyota Tundra Double Cab SR5. Clean title. Truck only has 30,800 miles, and is in excellent condition. Tags are valid through September. Truck still has the factory warranty on it. Included is the specialty oil filter wrench (for those of you who like to do your own oil changes), a set of towing mirrors, and the Tekonsha Trailer brake. Asking $26,999, OBO. Please call/text Nathan 661- 857- 1701 or Erica 661-857-2138 to test drive. NOTICE: The above information has been provided by the seller and is deemed reliable, however, AutoFairOnline.com does not guarantee the information to be correct, currently available, or guarantee the future operation of this vehicle.